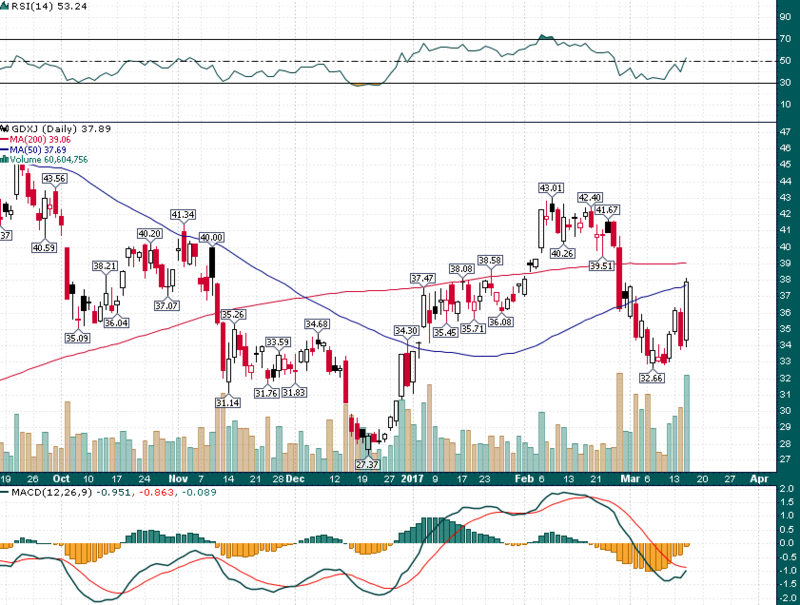 Gold Miners Soar Following Fed | Energy and Gold Ltd. Heading into today’s trading session the market was clearly worried about a hawkish statement from the Fed with the potential for a faster series of rate hikes than previously expected. As it turned out the Fed statement was fairly neutral and expectations are for 2 more rate hikes before the end of the year. With the worst fears for a hawkish Fed posture averted markets launched into a relief rally and the US dollar fell hard. Another potentially market moving event came from Holland where the Dutch election result also averted the market’s worst fears with the right wing Freedom Party finishing a distant second to Dutch Prime Minister Rutte’s party. This election result is a euro positive which added further downside pressure on the US dollar. The gains in the gold miners were broad based and impressive in magnitude with dozens of stocks posting double-digit percentage gains. This sort of powerful sector rally is characteristic of market participants rushing back into a sector for fear of missing out on a major turn in the market. With the US Dollar Index on the verge of dropping back below the 100 level and real yields experiencing their largest single day decline in months (10-year real yield fell by more than 10 basis points) suddenly the backdrop is favorable to precious metals once again. What a difference 24 hours makes! 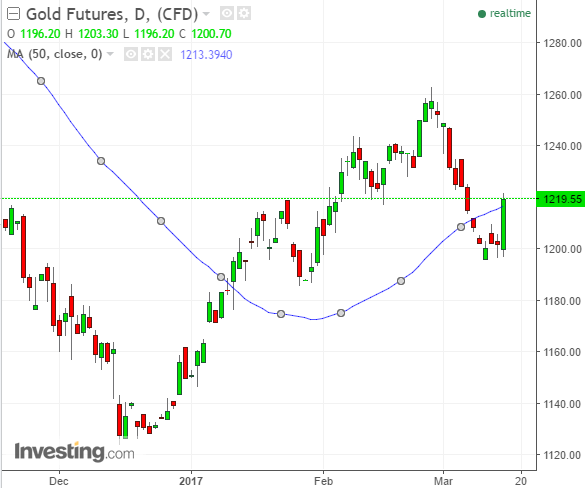 The precious metals sector entered the day facing a potentially do-or-die moment and precious metals bulls must feel good with how the day transpired. There is strong potential for a relief rally to last through the end of the week and trend followers are likely to begin jumping back aboard the bandwagon as prices remain above key moving averages.